So, by now many of you already know that Beth Revis, author of ACROSS THE UNIVERSE, is pretty freaking amazing. And not just because her book debuted on the NYT Bestseller list!!! She's an incredible person with endless kindness. For me, that goes a long way. And we Bookanistas are so happy for Beth's success that we just can't stop dancing for her. So we decided to make a video. An embarrassing oh-my-gawwwd-did-we-really-do-this sort of video. And we're going to share it with you. Because we love Beth and would walk through fire for her. In this case, we walk through the FIRE O' HUMILIATION. Not sure if you spotted me in there. But rest assured, the embarrassment is hard earned. It took me a long time just to make a thirty second video clip (not too humiliating) to show Beth just how much I love her. In fact, I had way more unusable material than usable. But in the spirit of ridiculousness, I thought I'd share a short unusable outtake with you. Beth, THIS is how much I love you. Congratulations on your successful launch, Beth Revis! I wish you the very best in your writing career. You're a super star. And a remarkable human being. Tere, please email me an address where I can ship your book. Congratulations!!!!! Also, don't forget to enter to win a Signed ARC of THE LIAR SOCIETY by Lisa and Laura Roecker! GO HERE to enter! OMG Carol!! I LOVED the Bookanista's tribute video to Beth! What a fun project to put together. You totally rocked your clip, too! I always go to LiLa's first thing when I get to work, because their post is always up, right at 6, but maybe I should come here first. Not that it matters. Was that supposed to make me cry a little? Because it didn't. Not one bit. What's with all the batman and darth vader costumes? I mean besides them being awesome, of course. What an incredible group of people you all are. I'm quite proud to know each one of you. And CONGRATULATIONS Beth! You rule. P.S. Carolina, you make an awesome rock star. How cute are you??? Take 47?! ha! This was so much fun. I can't wait to do it again! Dude! LOVE LOVE LOVE this! No pain, no gain. Way to take one for the team. Awesome video for Beth! And love your rocker look! And can you play that guitar? What video program do you use to put the words in and songs? Your videos are always so cool! Thanks! And this is why people need writer friends: to dress up and dance all over the place in celebration of good news. This is pure awesome. 2) THANK YOU OMG THANK YOU! 4) I love the outtakes!!!!! 5) OMG THANK YOU SO MUCH!!!!!!!!!!!!!!!!! Dude, you ROCK! Seriously, you looked awesome in that video. Love your hair. And thanks so much for the giveaway! I can't wait to read XVI! That's incredible for Beth Revis and slightly disturbing by the rest of you. But it made me laugh, keep on rockin in the freeworld. I love the video! It was so fun! I loved your rocker, oh boy I can't think of the word I want to use, hmmm it's on the tip of my tounge but I just can't think of it, well I'll just say I loved the whole 36 sceonds! I cannot wait to read Across the Universe. Oh, and congrats to Tere! Love the video and your clip! Those socks are awesome: all rock stars should wear them at all times. You are all amazing! Awesome! I needed to see something like this today! Total Rock Star! Love it. :D So excited for Beth!!! So awesome! LOL. You are a TOTAL rockstar, girl. You look ready to tour with Motley Crue! :-) Loved it! And Tere, I am SO jealous! He he. Carol, seriously, I LIVE for your vlogs. Can't wait til we get together! Congrats to Beth!! Loved the video, and adored the out-take! The badassery fails a little with the 'ow' and audible giggling from the peanut gallery! I giggled, my daughter giggled, Simon (the dog) giggled. We love laughter in this house. Vlogs from Cee rule. This is all sorts of awesome!! 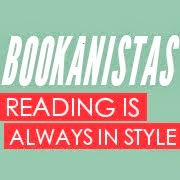 Great job, bookanistas! Loved the video and the outtake! You ladies are awesome! CONGRATULATIONS TO BETH! Wow, Carol, that was amazingly corny. But as corny as it was, it was 3x as heartwarming to see you supporting your sister Bookanista. Good on yer, mate! I saw the video a few days ago and loved it!! And I totally loved reading Across The Universe!! That looked like so much fun! I'm hoping to meet Beth at a book signing later this month...so I'm extra excited now! Thanks for commenting on my query over at Matt's blog. That was rad. I never realized that you were such a rocker chick. What an awesome group of friends! Beth is lucky in more way than one.